Last week, Cornish clothing company Seasalt shot some looks for their new catalogue on the terrace here at The Old Quay House. 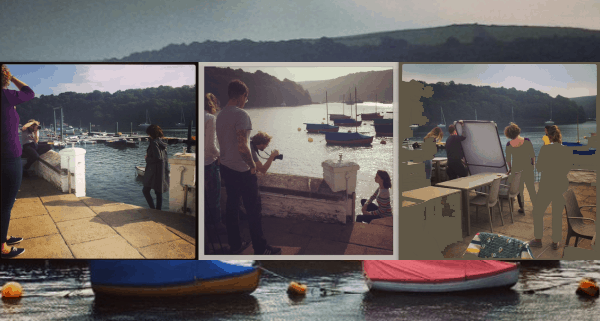 The sun was shining in Fowey and the team got some great shots of items that will be part of next year’s collection, with the Quay as a beautiful backdrop. We are looking forward to seeing the catalogue but in the meantime we thought you might like a sneak peek behind the scenes.